Intercom Systems — Audio Masterpiece, Inc. Learn why the Tosca Opera relies on Clear-Com's FreeSpeak II for Communication. This high performance wireless intercom system is designed for extensive communication in large-scale operations. Its ability to maintain a strong and continuous wireless connection across an expansive coverage area while providing crystal-clear digital audio makes FreeSpeak II the ideal wireless roaming solution for live event, broadcast, sport production, industrial, military and government applications. 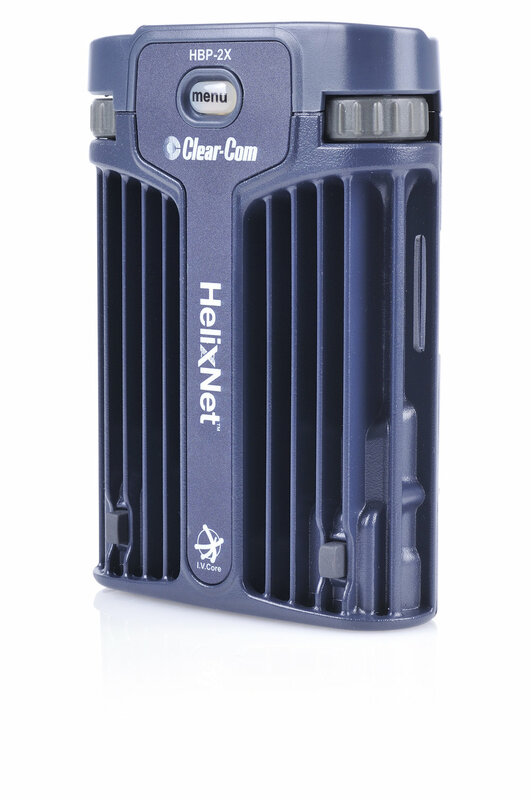 Clear-Com's five-channel, full-duplex FreeSpeak II 1.9 ghz digital beltpack was uniquely designed for the rigorous demands of large-scale operations and continuous communication use. Ergonomic form factor, intuitive operation, and a rugged housing make the beltpack ideal for extended use. Make sure to include Clear-Com's 2-in-one, 5-way battery and beltpack charger & BAT60 batteries with your next FreeSpeak II rental. The FSII-SPL is an antenna splitter that connects multiple FreeSpeak II transciever antennas to an Eclipse-HX matrix (via an E-QUE-HX frame card) or to a FreeSpeak II base station. The splitter provides up to 5 antenna feeds from one antenna port. An SFP fiber slot allows a fiber link between a FSII-BASE-II base station and splitter (base-to-splitter) or it can be used as a fiber bridge on legacy FreeSpeak II base stations and Eclipse HX matrix frames (splitter-to-splitter). 1.89GHz-1.93GHz* Band Active Transceiver Antenna allows users to freely roam around a facility while staying connected to the base station. Each Active Antenna can create a coverage zone of up to 1,475 feet. One Active Antenna supports up to 5 beltpacks with the ability of adding more if roaming or more beltpack support is required. Up to 10 remote Active Antennas can be strategically placed to cover a wide area. Each active transceiver antenna is IP65 rated for water and dust resistance and has a mount for microphone stands, allowing use and placement in virtually any environment. Unique to the FreeSpeak II system, both 1.9GHz and 2.4GHz beltpacks and active transceiver antennas can co-operate on the same system, increasing both the quantity of users as well as the cell roaming area. HelixNet Digital Network Partyline System uniquely delivers all features and functions of industry-standard partyline systems with digital audio clarity as well as IP connectivity to any digital network. Not only can HelixNet operate over any standard shielded twisted-pair cable (microphone or CAT5/6), but all audio channels, program audio and distributed Power-over-Ethernet (PoE) can run on a facility's standard IT network infrastructure via an Ethernet/LAN connection. HelixNet is the first digital partyline system that provides up to 24 intercom channels and audio program in a 1RU. All channels and audio program feed, along with power for 20 beltpacks can be transmitted over a single cable. Multiple Main Stations can be seamlessly linked to form a networked system; thereby allowing any two of the beltpack channels to access any system channel. The all-digital system is immune to electro-magnetic interference and ground loops, reducing ear fatigue after extensive use. 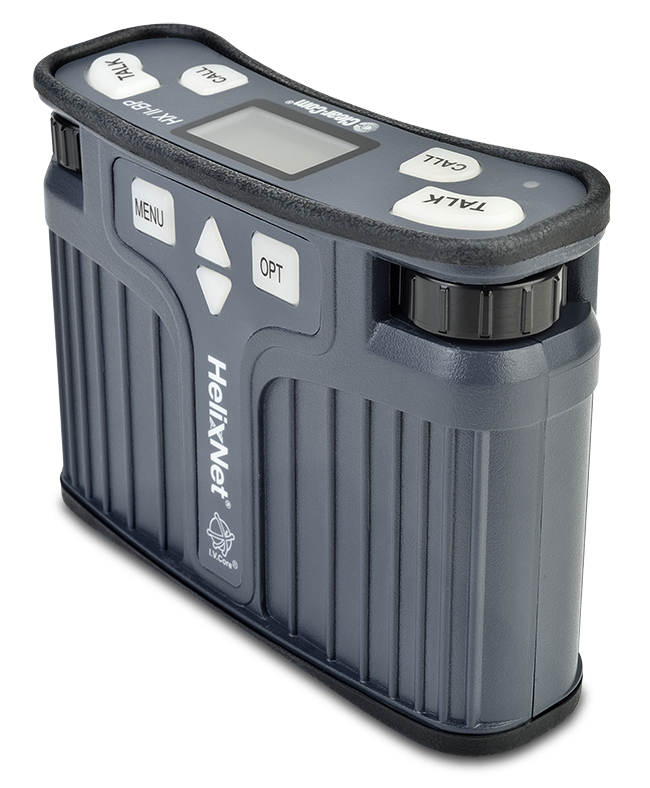 HelixNet has user-friendly and intuitive controls that make it easy to operate and configure. The system can be wired using a standard single pair shielded(16AWG-24AWG), AES-rated or Category cable—no rewiring of an existing in-house cables. HelixNet comes with interface module option bays for integration with 2- or 4-wire intercom systems or for intelligent networking of HelixNet Main Stations. 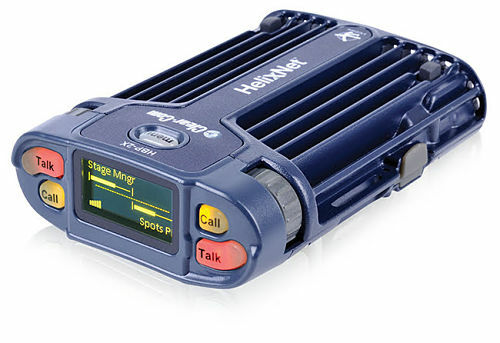 The HBP-2X is a rugged and ergonomically designed 2-channel digital partyline beltpack. A beltpack can have access to two of any four system channels over a single shielded twisted-pair cable. *HBP-2X being replaced with HXII-BP by Clear-Com. If HBP-2X is your go-to Helixnext belt pack, never fear! Still available to rent with Audio Masterpiece. Inquire for details. Channel Density. Similar to a source assignment panel, a single cable gives every connected beltpack the capacity to access all four system channels. Selectable Channels. The full-duplex, 2-channel beltpack can select up to two of the available four system channels and access program audio, each with individual level control. Save Resources. Networked audio is distributed over a single, shielded twisted pair, reducing the number of cables to yield time and cost savings. Passively Interconnection. Beltpacks can be set up in daisy-chain or star configurations with no need for active split boxes. Clear-Com Sound: Legendary contoured audio frequency response provides maximum intelligibility and exceptional sound quality. Efficient Administration. System configuration and firmware upgrades are centrally managed from the main station. Intuitive Operations. Present logical channel labels on the high-contrast, 10-character OLED display. Effortless Navigation. Optimally positioned buttons and volume knobs are easy to locate, identify and control on the beltpack. Highly Durable. Fabricated from lightweight cast aluminum, the beltpack is able to endure the rigors of intensive applications. Mounting Flexibility. Sturdy beltclip, rubber bumpons and integrated strap guide offer useful mounting options. The HXII-BP is a rugged and ergonomically designed 2-channel digital partyline beltpack. A beltpack can have access to two of any twenty-four available system channels over a single shielded twisted-pair cable or Power-over-Ethernet (PoE). The HKB-2X is a 4-channel, two display with shift page, flush mount digital partyline headset and Speaker Station that connects to Helixnet Main or Remote Stations over a single shielded twisted-pair cable. The HKB-2X can be locally powered via an external power supply or third party Power-over-Ethernet (PoE) power source. The LQ-Series are interfaces, available as a compact box or a 1RU panel, that can connect 2-wire, 4-wire and 4-wire with GPIO audio and call signalling over IP networks. 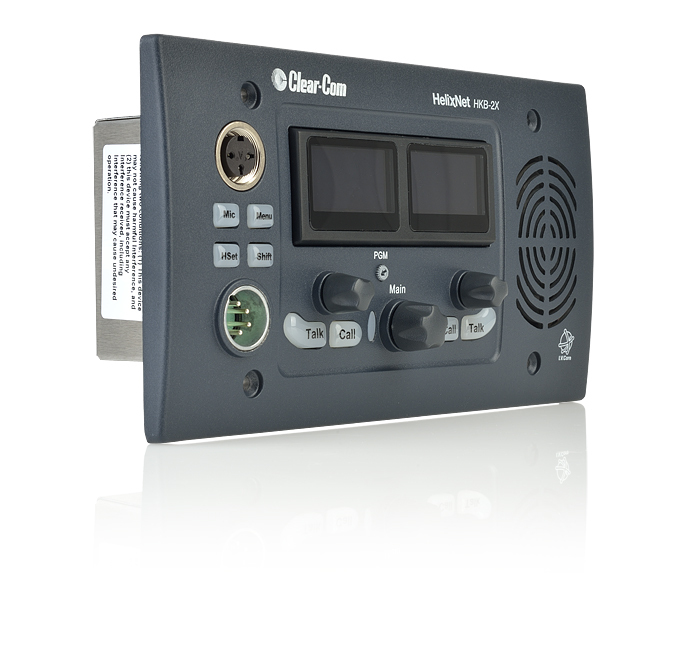 LQ Series devices can also connect to Eclipse HX frames via the IVC-32-HX interface card over LAN, WAN and Internet. The LQ-R4W8 enables the connections of 4-wire audio devices over LAN, WAN or Internet IP infrastructures in a 1RU panel. 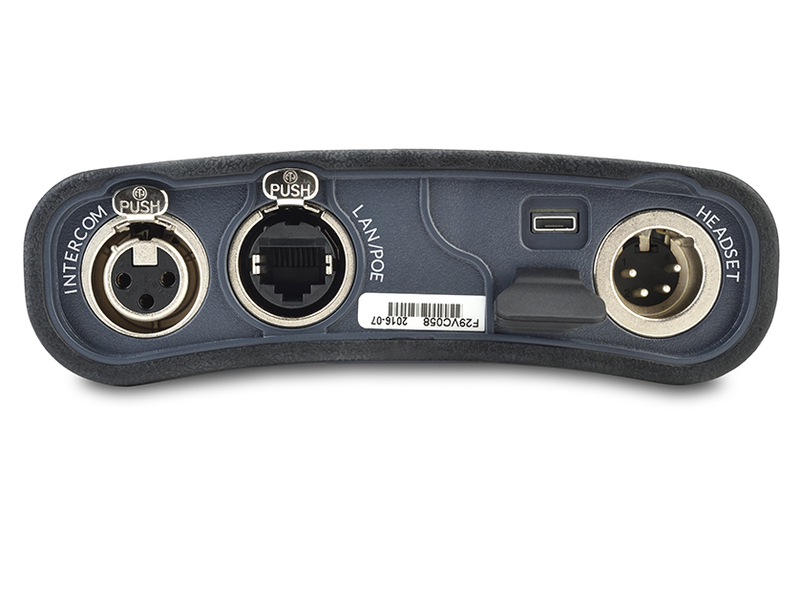 LQ Series devices can also connect to Eclipse HX frames via the IVC-32-HX interface card, adds Agent-IC mobile clients to Encore and HelixNet partyline systems, or SIP client connections over wireless networks. Connect up to 6 panels together to create standalone intercom groups. The LQ-R4W8 supports ECS, EHX and Drake 4000 II panels (4-wire + data). Call for details. Come by the shop for a demonstration! As an all-new wireless intercom system capable of supporting 10 beltpacks per antenna and up to 100 antennas in a single deployment, Bolero is a true game-changer. Bolero redefines the wireless intercom category with features such as ADR (Advanced DECT Receiver) with multiple-diversity and RF anti-reflection technology for greater RF robustness, complete integration with Riedel’s Artist, “Touch&Go” beltpack registration, and versatile operation as a wireless beltpack, a wireless keypanel, and — in an industry first —a walkie-talkie. Bolero runs over a standards-based AES67 IP network. Decentralized antennas connect to AES67 switches and to Artist frames equipped with AES67 client cards, providing a fully integrated point-to-point intercom ecosystem with seamless roaming capabilities. The more antennas added, the more robust the network becomes. The Bolero high-clarity voice codec provides both higher speech intelligibility and more efficient use of RF spectrum supporting twice the number of beltpacks per antenna for the same audio bandwidth as other DECT-based systems. The Riedel-exclusive ADR technology, combines a unique receiver design with multiple diversity elements specifically designed to reduce sensitivity to multipath RF reflections, making Bolero useable in challenging RF environments where other systems have great difficulty. The beltpack itself features 6 buttons for 6 intercom channels or point to point communications, plus a separate “Reply” button that easily facilitates a reply to the last person that called. Bolero’s sunlight readable and dimmable display can be inverted so that it is readable in any orientation. Also, in an industry first, the beltpack can be used without a headset like a walkie-talkie radio, utilizing an integrated mic and speaker. Bolero beltpacks support Bluetooth 4.1, allowinga either a Bluetooth headset or a Smartphone to be connected. When a Smartphone is connected, the beltpack can act like a car’s “hands free” setup so the user can receive calls on their phone and talk and listen via their beltpack headset. Users can also inject phone calls directly into the intercom channels, providing new levels of workflow flexibility. Based on Riedel’s extensive rental experience, the beltpacks use a combination of premium materials, including high-impact plastics and rubber overloads, making it both tough and comfortable to use in any situation. Future-proof and reliable since the panel communication is based on international standards. Digital connection to the matrix via AVB, AES67 or AES3/EBU. Audio transmission in broadcast quality. Compact design with an integrated power supply and low chassis depth. Individual volume control for each talk key. Individual usability of GPI Inputs and Outputs. 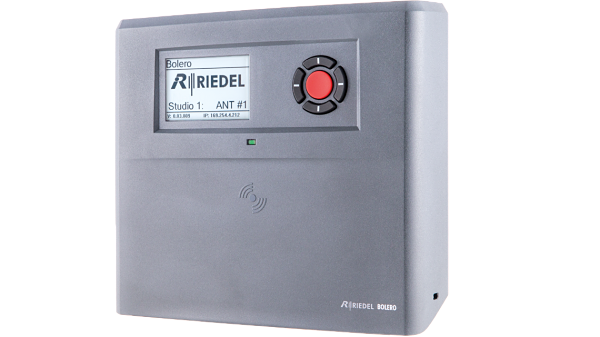 Riedel offers the right intercom panel for any application. Whether you make your decision for the classic 1000 LED series, the premium 1100 OLED series, the new 2300 Smartpanel Series or any other Riedel panel: You can be sure to get easy-to-operate, high-tech control panels with broadcast quality audio, minimum dimensions and outstanding design made through quality German manufacturing. (Yes, you :) ) Don't forget to check out our Riedel RiFace radio interfacing options in Radios! 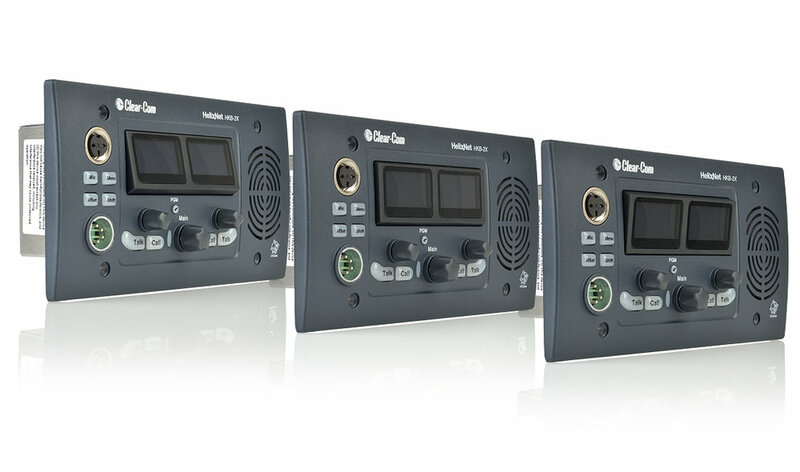 Enabling your go-to audio network system,Optocore's X6R/V3R-INTERCOM platform allows customizable intercom, control and network connectivity, utilizing state of the art analog and digital circuitry for ultimate reliability. Based on industry standards, Audinate created Dante, an uncompressed, multi-channel digital media networking technology, with near-zero latency and synchronization. Dante is the preferred audio networking solution that has been adopted by more pro-audio AV manufacturers than any other networking technology. Interoperability is not a dream of the future, but a reality today. Hundreds of Dante-enabled products are available from the world’s leading manufacturers, enabling you to mix devices from multiple manufacturers. One cable does it all. Dante does away with heavy, expensive analog or multicore cabling, replacing it with low-cost, easily-available CAT5e, CAT6, or fiber optic cable for a simple, lightweight, and economical solution. Dante integrates media and control for your entire system over a single, standard IP network. Dante systems can easily scale from a simple pairing of a console to a computer, to large capacity networks running thousands of audio channels. Because Dante uses logical routes instead of physical point-to-point connections, the network can be expanded and reconfigured at any time with just a few mouse clicks. Add to this beauty to your next project today! Call for details. We know that in today’s technology interconnectivity is becoming more commonplace.